from 1460 Pcs. from 300 Pcs. from 100 Pcs. from 50 Pcs. from 10 Pcs. * - Additional sorting, selection of barrels for a specific color, bottom view, add. characteristics add to the cost of 20₽ for Pcs. 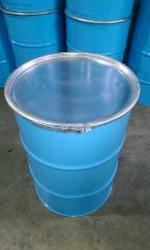 Our company offers to You new or used, recycled, cylindrical and tapered metal barrels of 200-216.5 liters. In order to reduce the costs of juice producing enterprises for the purchase of industrial packaging, our company offers a restored and completed metal barrel of 200-216.5 liters. Barrels that passed our recovery shop are practically not inferior in quality to new ones, they have a new external and internal special coating of walls, suitable for use of this container in the food industry and meet all requirementsGOST R ISO 9001. The upper bottom and the clamp with the locking lock or the plastic cover is included in the barrel. We are ready to put the volume of packaging up to 20 thousand pieces monthly. The amount of loading in a standard wagon is 90 cubic meters – 1460 cone, 276 cylinder. Place of loading: Oseevo, Shchelkovsky district, Moscow region. Frosta buys barrels of various types that were in use. Our offer is relevant for public catering establishments, food industry enterprises that receive food and raw materials in conventional and conical barrels. Euro barrel is one of the most common types of packaging for the transport and sale of many products and beverages. Therefore, they can accumulate in large quantities. The barrels are uncomfortable and inexpedient to store through their uselessness and large volume, which occupies a lot of free space. The disposal of used barrels is laborious and costly process. We suggest that You remove this problem by selling them to our company. You will not only be freed from the need to dispose of the barrels yourself, but also get paid for them. If you buy barrels, we independently provide labor: loaders, who themselves will take out all the cargo from your storage facilities, as well as trucks for exporting all the barrels that you have. We export any number of barrels. you will not incur any costs and at the same time free up a lot of free space in your warehouses. We buy both conventional and conical barrels.